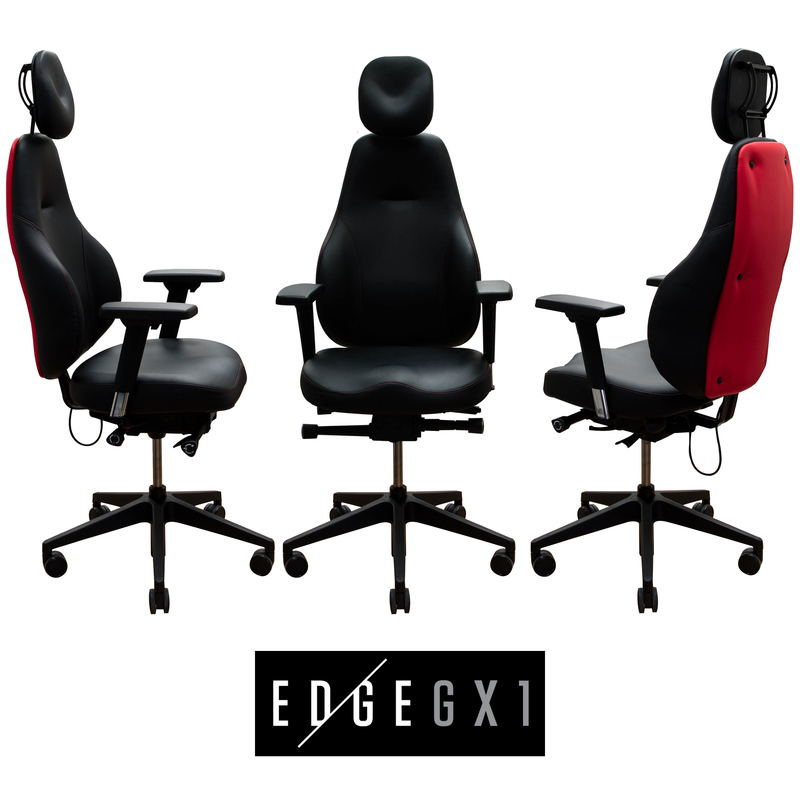 Cardiff, United Kingdom: EDGE Products today announced the EDGE GX1 Gaming Chair, designed by ergonomics experts and hand-built in Great Britain to provide optimal support and comfort for enthusiast gamers. EDGE, which stands for Ergonomically Designed Gaming Equipment, was founded by Clyde Crawford and Neil Hill, who both have extensive computer and gaming industry experience in ergonomics, product design, manufacturing, distribution and sales. Its primary goal is to design gaming equipment using true ergonomics expertise to enhance gamers’ performance, health and wellbeing. •	Seat slide with seat depth adjustability of 65 mm to accommodate a broad range of gamers' statures. This press release was distributed by ResponseSource Press Release Wire on behalf of Ogden Media Ltd in the following categories: Entertainment & Arts, Health, Consumer Technology, Computing & Telecoms, for more information visit https://pressreleasewire.responsesource.com/about.